Will you join us in making a difference by empowering women through spiritual awareness grounded in the body? YogaMass is a unique embodied worship experience that bridges yoga and faith. We have been invited to offer YogaMass in March 2019 at the 63rd United Nations’ gathering of The Commission on the Status of Women in New York. We are raising money to pay for the team’s travel expenses. Your donation to YogaMass, Inc., a non-profit charitable organization, will help make an impact for spiritual empowerment of women as powerful agents of change. Thank you for your prayers and support; your contribution is greatly appreciated! For more information about YogaMass, please see YogaMass.com . YogaMass empowering women! This Wednesday, March 13, 2019, Rev. 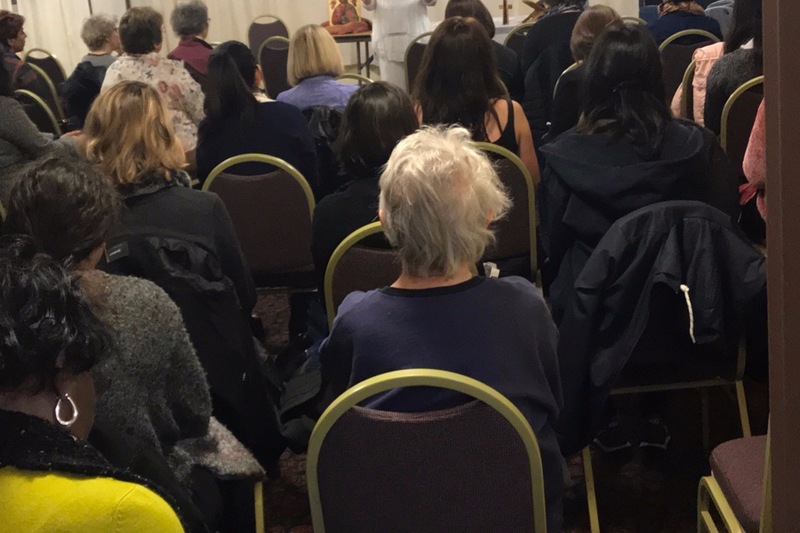 Gena Davis spoke to the women gathered in the YogaMass parallel event at the United Nation's gathering of the Commission on the Status of Women. Empowered in mind, body and spirit, women and girls can use their intuition and all aspects of themselves to lead our countries & policies forward for women and girls everywhere to have human rights that allow them to reach their fullest potential. Thank you to all who supported us being at the UNCSW and sharing the gift of YogaMass with global women and teenagers. Thank you for blessing us with your financial support & prayers to help us in opening hearts and minds for feminine presence & leadership everywhere. One world, one planet, we are all in this together! We are excited to introduce YogaMass with this new video: why we exist, what we are about, why YogaMass is so important. Please join us as we share the experience and the message of embodied Christ consciousness. A special thanks to John Ahrens, Videographer and Producer.